2 Where do all the small waveshaper circuits go? 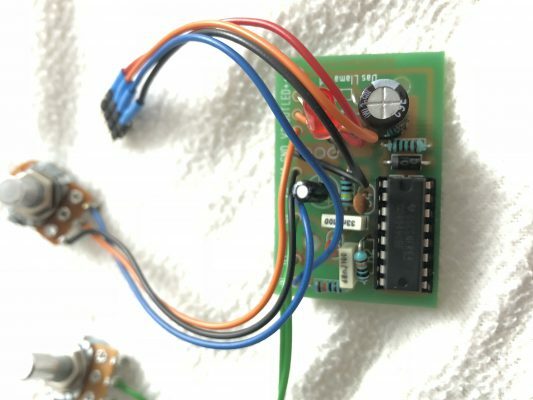 This is a small overdrive kit based on a circuit you probably would not think as rock’n’roll: a plain, old 4049 CMOS inverter, the type of early logic chip that was already around for years when Jenny was built, although here it is used in the buffer-less variant (4049UB) you won’t meet very often in the wild. You can buy the overdrive as a nice, cheap kit called “Llama” here, like I did after starting to build a rip-off copy and then realising that the great people at Das Musikding do a much better job than I could. 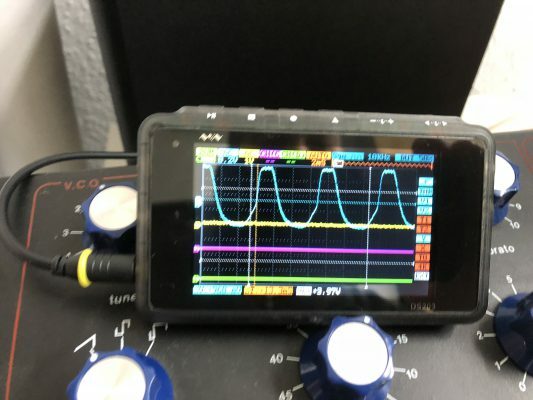 In a guitar amp, you would have the amp/speaker system to take off the edge of the distorted sound – this is why I decided to add it pre-filter, as a wave-shaper rather than as a post-VCA effect. Thus, no dynamics. The advantage is that, with the booster, you get a bit of additional distortion from the filter. 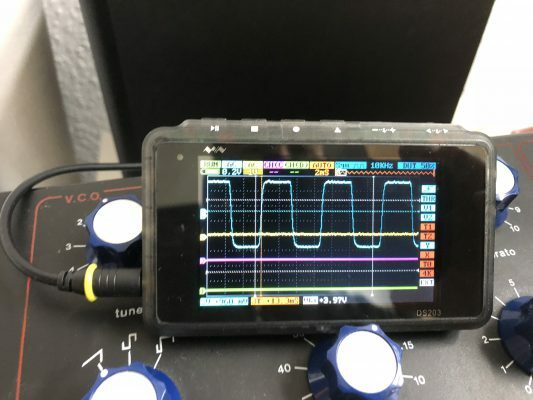 Where do all the small waveshaper circuits go? As JEN modders near and far agree, this capacitor should be replaced anyway. 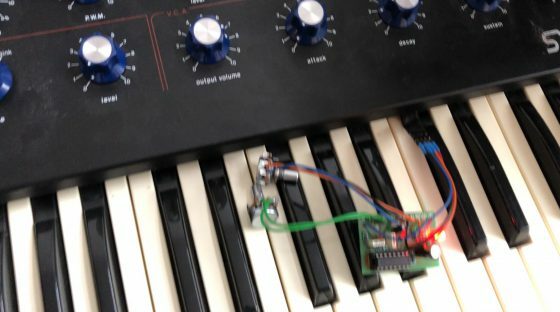 Using a larger capacitor – something around at least 10µF – gives Jenny’s sound more bass foundation. 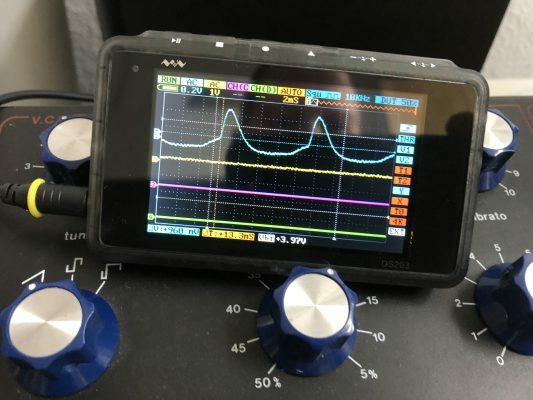 The two potentiometers control amplification, and output level – adjust the 10k output pot to a level where you still get clean sounds but make sure the output level is high enough to have the filter go into self-oscillation when necessary. 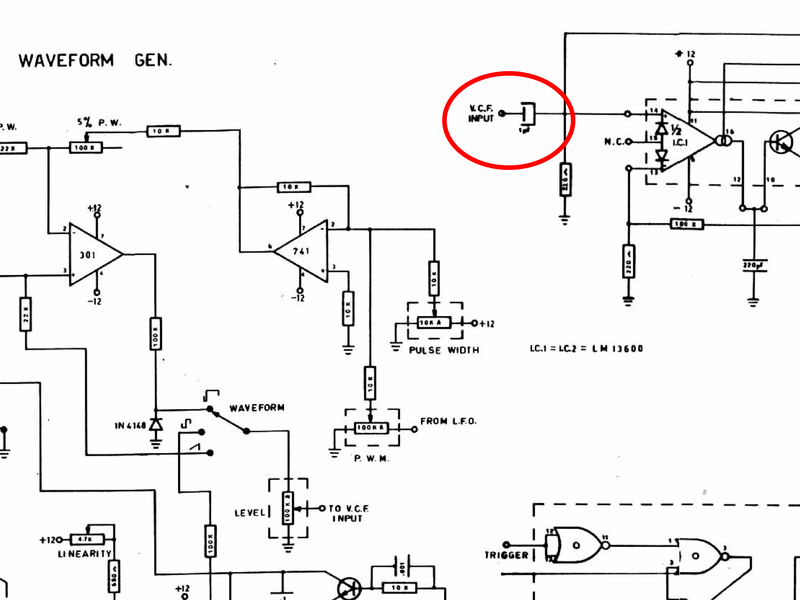 More on adjusting the amp gain below. 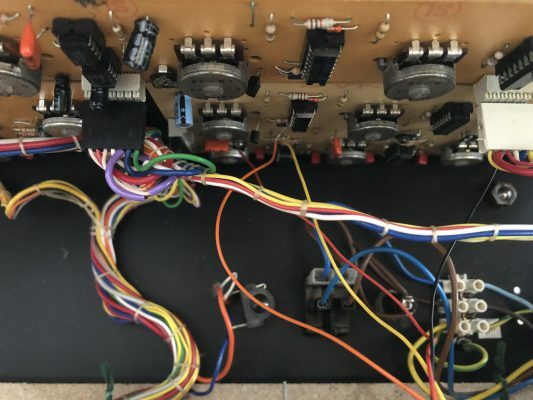 I tweaked the 1M amp/feedback pot until the sound stayed just about clean and neutral with the JEN’s VCO level control set to about one-third (set to sawtooth, no sub-oscillator). Okay, so is it worth it? This is very subjective but especially with a bit of sub-oscillator I perceive the overdrive as quite organic, warm, and adding to the bottom of the signal, especially with bass sounds, which the JEN is said to be not that good at. To prove my point: This is a short clip from a jam session with the JEN doing the bass, holding out quite well against a massive guitar and beatbox/synth wall. Well, I do know that there are a couple of factors playing in Jenny’s favour here – mono voice, no FX to take the edge of the signal – but I am still quite satisfied with the overdrive. I guess it will stay. Starting at about mid-range, the “level” knob goes into overdrive all up to a squaretooth-y but still pleasant clipped wave. The filter is still capable of going into self-oscillation (if it isn’t, adjust the overdrive’s output level upwards), and the sound is lovely and creamy. Originally, I was about to add a big, red “Overdrive!” button to the front panel, but now I am just going to leave it as it is. Next stop: bug-fixing and integrating the phaser you can already spot in the video above. 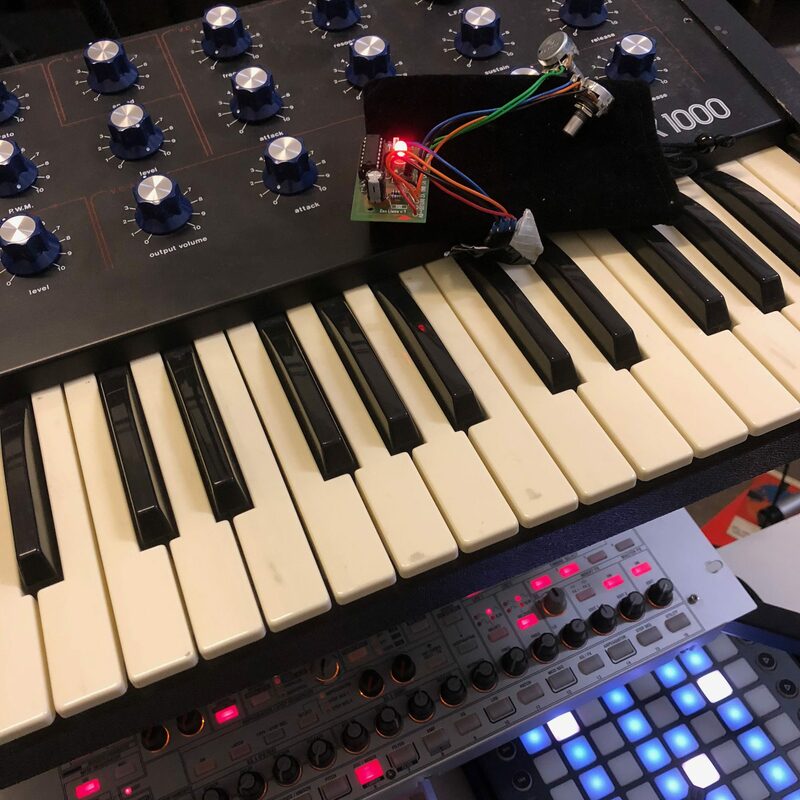 This entry was posted in Basteln, Musik and tagged analog synthesizer, DIY, Jen SX-1000, Modding, monosynth, synthesizers by untergeek. Bookmark the permalink.